Across the country there are new developments that are more like a resort complex than a traditional rental building. Edina’s rental properties are often traditional buildings from the 1960s-1980s. There is a new dog on the west side of Edina. It’s the resort styled The Loden with California casual design. 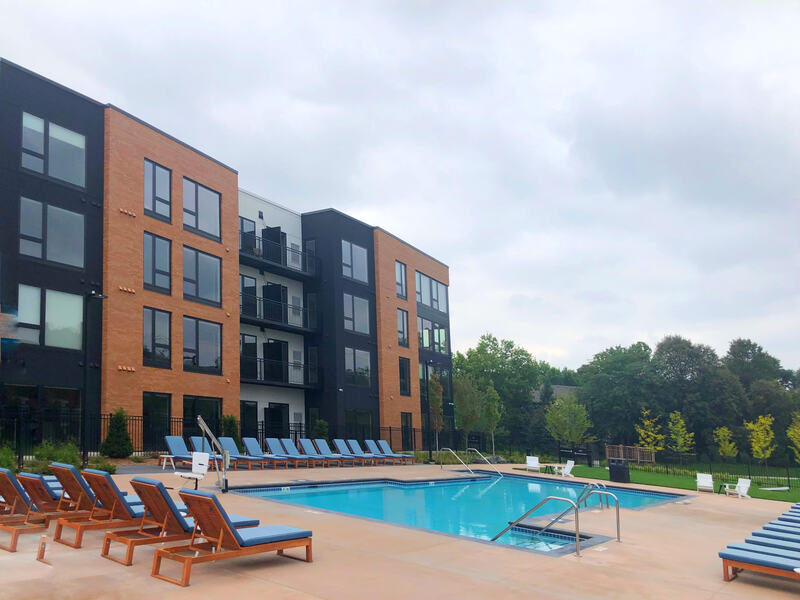 The Loden just opened May 2018, and offers a slew of irresistible amenities uncommon to the Twin Cities. Typically, older buildings will have rec room, some have a pool. 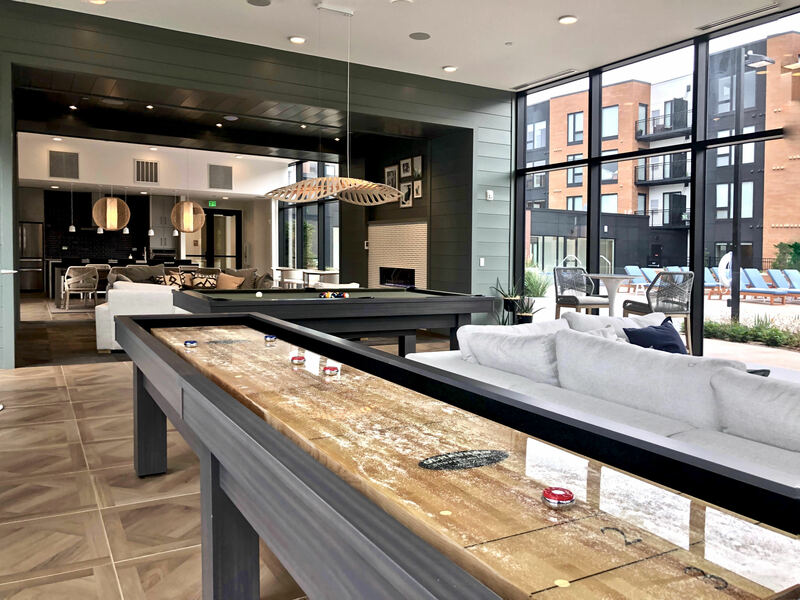 Besides offering sleek loft style design with immense black framed windows and a gorgeous white kitchen with quartz islands and either patio or a balcony, the list of amenities inside and out goes on. On the inside is a home office suite equipped with free Wi-Fi, working booths, conference tables, a flat screen TV for presentations, gas fireplace, sofas to curl up and get research done, and floor to ceiling windows overlooking the patio. Home offices escaped the basement a few years back, no one was inspired staring at dingy cement block walls. This is a new level of, “I can’t wait to get to the office,” space. On those frigid February mornings, you can roll out of bed, throw on a sweater and waddle down the hall to a space that is guaranteed to perk you up. Next is the Party Room, except isn’t a room. It’s a series of open rooms strung together. There’s a kitchen that slides into the dining area that’s open to a reception or hangout area. Sleek and sparkling, more floor to ceiling windows overlooking the pool, hot tub, and outdoor party space. Yes, there’s still more. If all these big windows with sunshine flooding in is too much, you can hang out in the game room. It’s a man cave with card tables, a big leather couch to slide into for watching the game with your best buds. In the middle of it all is the courtyard pool, mini golf, and Jacuzzi that is open all year round because the cement has radiant underground heat to warm your toes on the coldest winter day. Of course you’re going to be hungry with all this lounging around, so you can whip up lunch on the outdoor kitchen with two massive grills for entertaining. You might have already guessed, but The Loden is pet friendly. 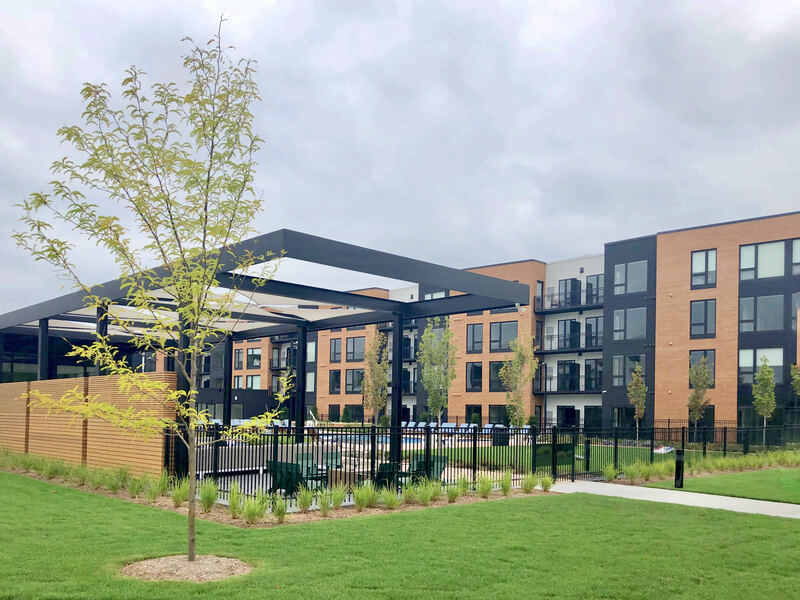 There’s already a number of pooches in residence, and they are kept clean with the Doggie Wash Station right off the garage after play time in Dog Park on the side of the building or 15 miles of trails along Nine Mile Creek. It’s complete with a showering tub, and separate grooming table, to dry and trim. You’ll be a mess, but your dog will dazzle. 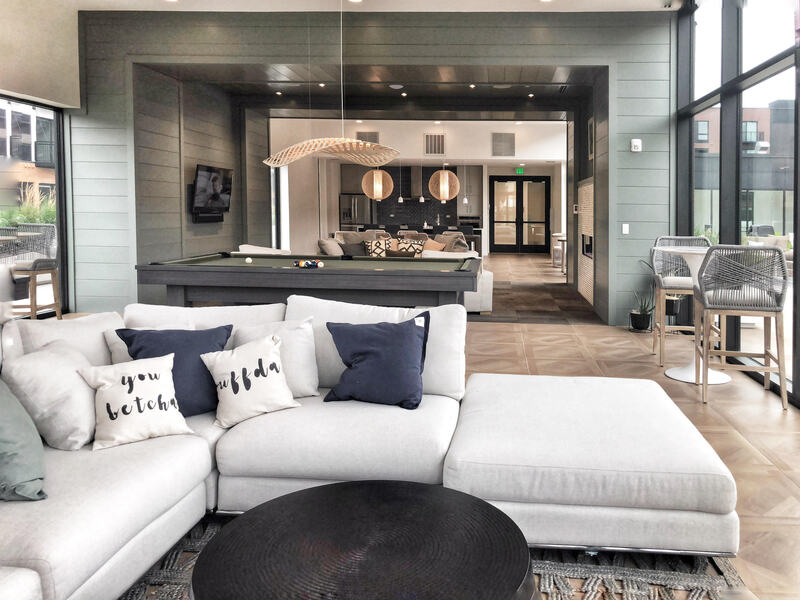 So, if you’re not sure of your next step, if you’re thinking of selling and don’t where you want to go, or if thinking of new construction and not sure of the timeline, checking out The Loden. It might take a load off your shoulders. Or, if you want to try out a new lifestyle, pretend that you are on the West Coast with sunshine streaming from every window without shoveling, cleaning gutters, or a Honey Do list, head on over to take a look. Give me a jingle, and I can set up a private tour with Peggy, she’ll be delighted to show you a new state of mind.